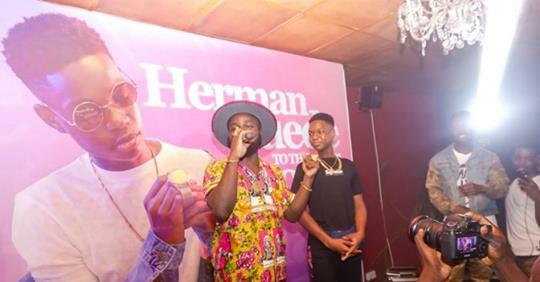 Celebrated Ghanaian rapper, M.anifest, was full of praise for fifteen year-old musician, Herman Suede during his music video premiere last week. M.anifest who graced the occasion at the One Airport Square in Accra was amazed by Herman’s talent after he performed a couple of his songs. He then took to the stage to laud the effort of the young artiste and encourage him to work harder. “I want to tell you that you have a gift that is special and you found your gift very early. You made all these people happy and the world is your oyster,” he said. “Listen the promise and the talent that you have, I haven’t seen that in a while,” M.anifest added. The audience, mainly students from his school were beside themselves with joy and they sang along to his songs while he performed. Also present at the porgramme were Kumi Guitar, Kuuvie, Spacely, Nxwrth among others. 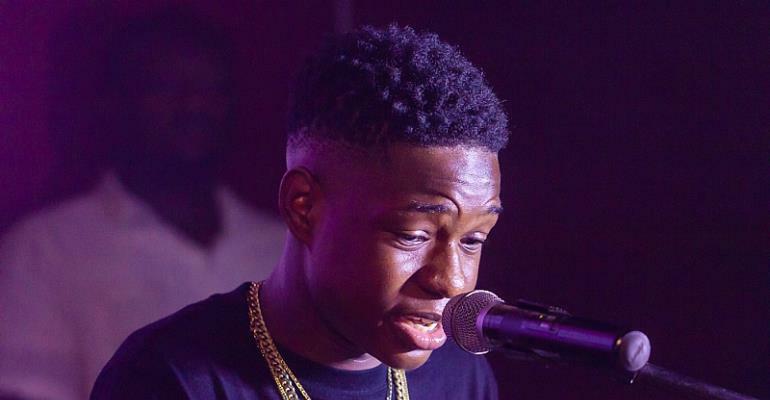 Herman Suede is one of the youngest musicians in Ghana who has honed his music abilities to meet the demands of the competitive music market. Herman Suede, (real name Jason Herman Bortei-Doku) is a 15-year old Ghanaian musician, composer and song writer who discovered his talent for music when he was five years old. At the tender age of 5, he started studying classical music on piano and took formal music lessons. The student of Tema International School (TIS) Ghana, for the past years, has been working hard on some wonderful tracks. He has released three songs: ‘Be Mine,’ ‘Wavii,’ and ‘Questions,’ heavily influenced by Afro Pop, R&B and rap. He composed all the three songs when he was 14 years old with support from D3MZ (Edem Coffie). According to Herman, he picks inspiration from Drake, Maleek Berry, King Promise, Davido, Mr. Eazi and Joey Badass. Aside Music, Herman is also involved in acting and dancing, volley ball and soccer, swimming and golfing. Herman, looks forward to breaking boundaries with his music as he prepares to release more quality songs and videos.